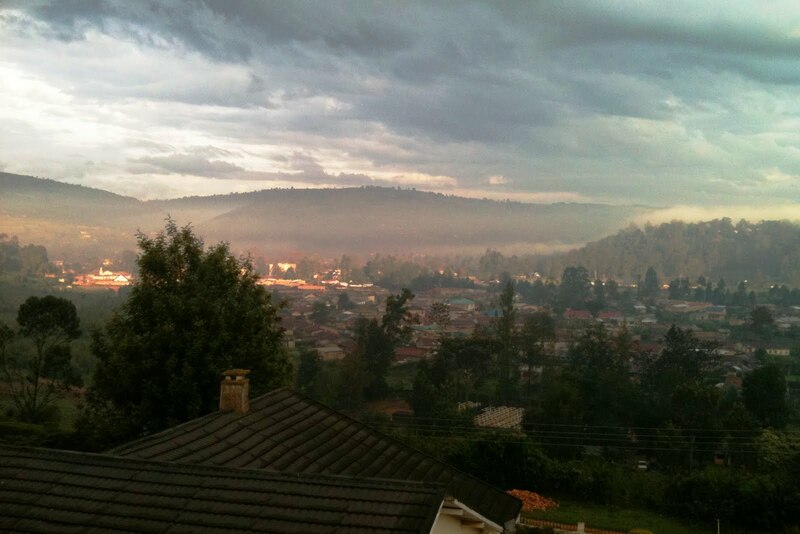 The evening view from my balcony in Room 103 at Green Hills Hotel, Kabale. Sitting back, even as the smoke from a combination of coal and kerosene burners drifts up the valley, and even though the silence is intermittently punctuated by the beat from a PA system floating in my direction as the wind changes, this moment is still full of serenity. So as the last glimmers of sunlight leak out of the valley in the direction of the Congo, for now anyway, I will recline in my balcony chair, reflect on a job well done thus far and contemplate the many things left on my programme for the week.